…and look what I got! I’ve been patiently waiting to get Daisy’s story. I love the Wallflower series and this is the final one. I can’t wait to read it, and I love the fact that Daisy is something of a bookworm also. She always seems to have to have something to read. I read the first three books in the series virtually back-to-back, so will hopefully be able to read this during the weekend. I have to admit, Devil in Winter so far has been my favorite. 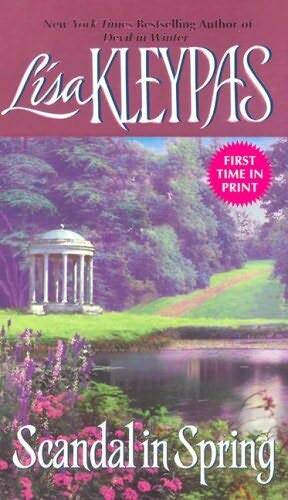 First, I need to finish reading “Duchess in Love”, which is the first Eloisa James book I’ve read. This story is wonderful. I was instantly drawn in and am looking forward to finishing it tonight. This is the story of Gina and Cam. This young couple married very young and he immediately left the country to pursue a career as an artist. Twelve years later, he’s back and their story really begins…. Yes – but you forgot the most important thing!!! What did you think of Dreaming of You!?!?! Last time you were deeply in love with Derek (as so many of us are) but what did you think of the book as a whole? *grin* Inquiring minds (all right – mine) want to know! DIW was my fav of the series so far too. Need to find SIS. I think I have it on hold but I may not be able to wait much longer. Never read EJ before but this one sounds pretty good. 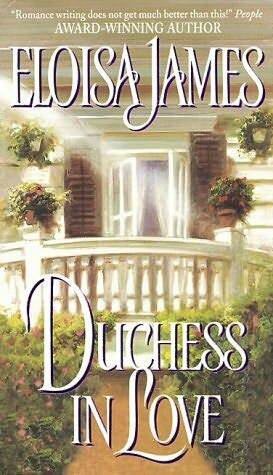 “Duchess” was my first EJ book, and I loved it (not that anyone could tell). So far, DIW has been my favorite Wallflower book as well. There’s just something about Sebastian………….